OK. After years of mulling it over you have finally made the leap of faith—you are having your LASIK surgery performed tomorrow. Your friends and acquaintances are mixed about your decision. Those that have had LASIK surgery and experienced its safety and miraculous outcomes congratulate you on your careful decision. Others are dubious (most of them skittish myopes too fearful to move ahead with something that they secretly desire). A consultation at our New York or New Jersey office has confirmed that you are an excellent candidate. A battery of testing combined with an in depth eye exam confirms that all is green light. Risks and benefits have been reviewed and all of your questions have been answered. Your confirmed candidacy assures you that your chances of a successful outcome are overwhelming. Both our New York and New Jersey office features all of the newest tested technologies and Dr. Fox, your surgeon, has years of experience in corneal and refractive surgery and has a stellar reputation. So the big day is finally here and as you arrive for surgery, although somewhat anxious, you are ready for your procedure. What can you expect? Following your greeting by the receptionist it’s time to sit down with a patient consultant. You have already had a chance to review your consent papers, filled your prescriptions, and read all of your post-operative instructions—but it’s nice to have someone go over everything with you and answer any nagging questions that remain. Now it’s off to the preoperative examination room where Dr. Fox awaits. He has already reviewed your chart and the customized treatment plan but still it is important to have the chance to sit down with your surgeon and have him review the steps of your procedure and answer any last minute concerns that you might have. Paper head and shoe covers are placed and you are escorted into the laser suite where the technical staff greets and prepares you for surgery. You are instructed to lie down on the surgical table where the area around your eyes is cleansed with a disinfectant. After installation of a topical anesthetic, a small lid holder (speculum) is placed which gently parts your lids. You were worried about what would happen if you blinked at the wrong time. No worries now. Next, a plastic ring is placed on your eye. It is designed to hold your eye steady during the Intralase flap creation step of your surgery. It is held in place by a vacuum, which produces a mild pressure sensation, and, just as has been described to you before, your vision gets very dim or darkened. Again, no surprises here. It’s what you have been told to expect. Dr. Fox adjusts the table to position it under the Intralase laser. Its interface lens is slowly brought downward allowing in to dock on the ring. You are asked to hold very still and to not squeeze your eyes. The flap creation takes only 12 seconds to complete. The vacuum is released and the laser retracted in preparation for the flap creation on the second eye. What a relief to get this step completed. You were told that this was the only time that you might experience some discomfort and it really wasn’t bad at all! Next the table is positioned under the excimer laser where Dr. Fox lifts the LASIK flap. It is painless but weird as your vision becomes blurred. Through the blurriness, the blinking red fixation light of the excimer laser is apparent. You have been told to stay focused on it during this part of the treatment. This assures that you will be well centered during the laser correction. Dr. Fox makes a measurement of your corneal thickness and sets the tracking mechanism of the laser that assures every pulse of laser light is delivered precisely where it has been designed to go. The laser treatment begins. You can hear a snapping or ticking sound and smell a funny smell—the smell of bad vision going away! The red light blinks and moves slightly as it is projecting through your laser treatment at this point. You have been told to ignore these micro-movements and to stay centered with both eyes open. This is a lot easier than you expected. You are reassured every step of the way by Dr. Fox—you are now at ease. The treatment concludes and Dr. Fox repositions your flap with a wave of cool saline solution. As the flap is repositioned, your vision becomes remarkably clear. As the second laser treatment concludes, you are confident that you have made the right decision. The surgery is over! Now it’s off to recovery where your eyes are examined and home directions are reviewed. Plastic transparent protective shields are placed. They are to stay on for two hours after which they can be removed and your eye drops can begin. Wear them at bedtime for one week to avoid bumping your eyes when you sleep. You can expect several hours of light eye irritation and some variability of vision. Sleep is the best medicine. Tomorrow it’s back to your doctor for post-operative LASIK check-up. You can return to work if you like but are warned to avoid any high impact activities or air travel for one week. As you depart, the center the staff is all smiles and congratulatory. 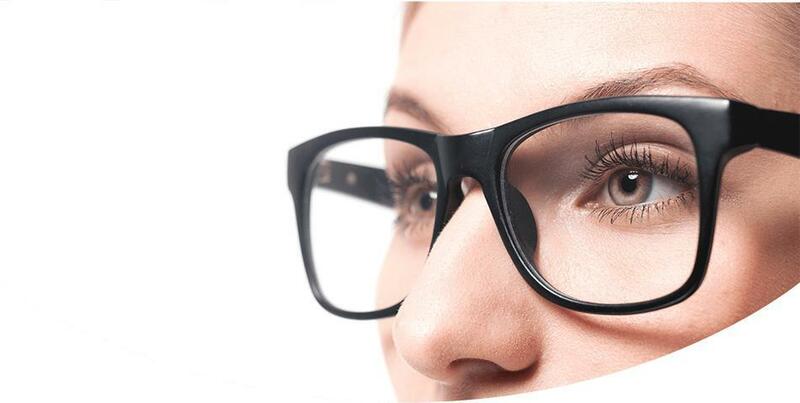 Your journey to a new world with clear uncorrected vision is over. As you ride home, you marvel at how well you can see even at this early post-operative stage. You can’t wait to call the Nay-Sayers when you get home.